You are here: Home / Questioning God / Resurrection / When is the resurrection going to happen? When I was a child, one of the questions we couldn’t ask while on vacation was, “When are we going to get there?” Now that I’m a parent, I understand why. Without ground rules, children will ask that question every fifteen minutes. Most people, certainly Christians, have a sense that this life is a journey to a place where we will spend an eternal vacation. We won’t get there in a car or even a spacecraft. Instead, God himself will bring all those who trust in Jesus to heaven. Even those who have died will come to life again when God is ready to bring his children to heaven. But when are we going to get there? When will God raise the dead and bring them to heaven? God does not mind if we ask the question. In fact, he loves it when people seek him and inquire to know what he has said. One of Jesus’ friends (Martha) once inquired about the resurrection when one of his close friends died (Lazarus, Martha’s brother). Jesus comforted Martha with words about the resurrection and asked her if she believed in the resurrection. Her answer helps us identify when the resurrection will happen, “I know he will rise again in the resurrection at the last day” (John 11:24). The resurrection from the dead will happen ON THE LAST DAY. But when is the last day going to come? The exact time when God will bring the world to an end (and raise the dead) is information he reserves for himself alone. During his life on this earth Jesus once said, “No one knows about that day or hour, not even the angels in heaven, nor the Son, but only the Father” (Mark 30:32). On the one hand, we know exactly when God will raise the dead; he will do it on the last day. On the other hand, we have no idea when God will raise the dead; God hasn’t told us when the last day will come. Trusting that God will raise to eternal life all those who believe in Jesus for the forgiveness of sins is more important than knowing exactly when the resurrection will come, is. 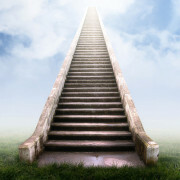 Only in Jesus can we be sure that when it is time we will get there – that is, to our eternal vacation in heaven! https://whataboutjesus.com/wp-content/uploads/2016/08/700x411-When-is-the-resurrection-going-to-happen.jpg 400 711 waj https://whataboutjesus.com/wp-content/uploads/2016/01/WAJ-logo-offwhite.png waj2016-08-18 14:00:442016-08-23 09:25:10When is the resurrection going to happen?